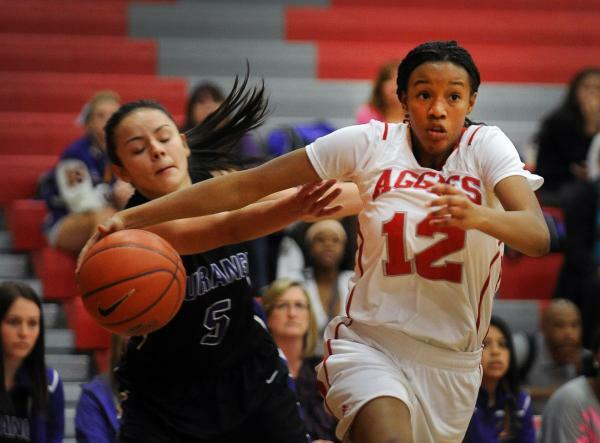 Arbor View's Ariona Gill (12) breaks free from Durango's Jazmin Chavez on Tuesday. Arbor View's Dana Lewis shoots against Durango on Tuesday. 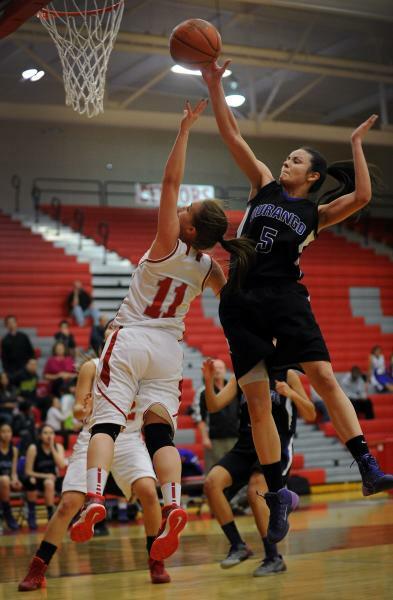 Durango's Jazmin Chavez (5) blocks a shot by Arbor View's Kelsey Rasore on Tuesday. Arbor View's Ariona Gill (12) takes a shot between Durango's Maria Rico, left, and Aylin Ponce on Tuesday. 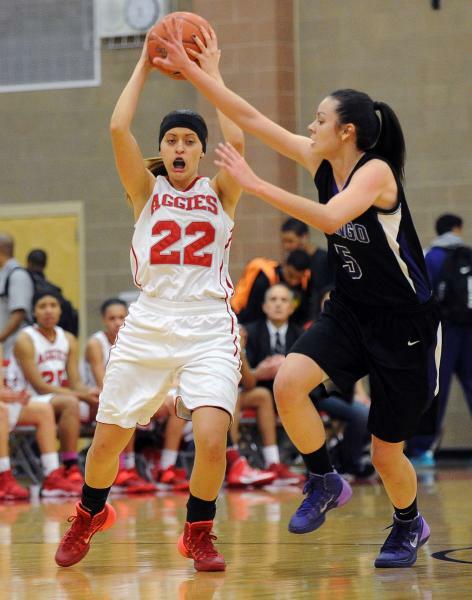 Arbor View's Mikala Cvijanovich (22) looks to pass the ball against Durango's Jazmin Chavez on Tuesday. 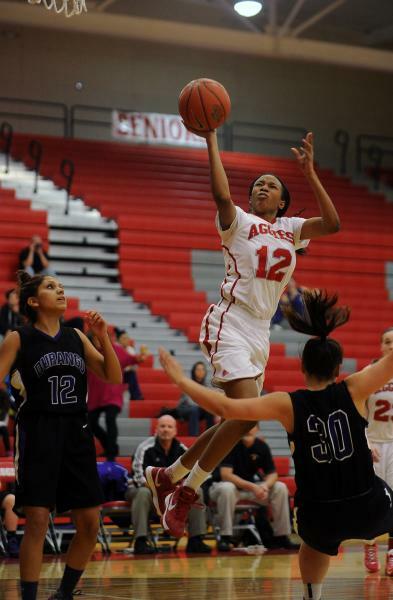 Arbor View's Jocelyn Jordan (21) drives to the basket between Durango's Taylor Gray (10) and Jazmin Chavez on Tuesday. Durango's Jazmin Chavez (5) lays up the ball between Arbor View's Amanda Embleton, left, and Mikala Cvijanovich on Tuesday. Arbor View girls basketball coach Donna Gentry stopped short of calling her team’s defensive effort on Tuesday fantastic. For the final 22 minutes of their game against Durango, though, the eighth-ranked Aggies couldn’t have been much better. Arbor View pressed effectively, contested shots, rebounded well and forced turnovers to turn a two-point second-quarter lead into a 72-34 rout of the visiting Trailblazers in a battle for first place in the Northwest League. Arbor View (13-7, 3-0 Northwest) led 23-21 after Durango’s Jazmin Chavez drained a 3-pointer with 6 minutes, 14 seconds left in the second quarter. But Chavez, who entered the game averaging 16.7 points, collected her third foul 30 seconds later, and the Aggies turned up their defensive pressure. 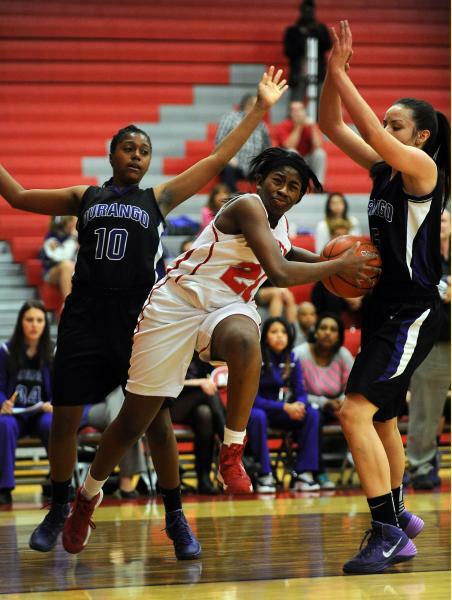 After Chavez’s 3-pointer, Durango (12-6, 3-1) went 6 of 31 from the field and had 23 turnovers in the final 22 minutes. Arbor View, which scored the game’s first 13 points and never trailed, finished the first half on an 18-4 run and was never seriously threatened again. The Aggies also dominated the boards, outrebounding Durango 61-37. Arbor View grabbed 33 offensive rebounds, but managed only 17 second-chance points as the Aggies were less than sharp on offense. Arbor View was 28 of 75 from the field and made just 12 of 28 free throws. Janae Strode led the Aggies with 20 points and 11 rebounds, eight of those offensive. Strode made her final six field-goal attempts. 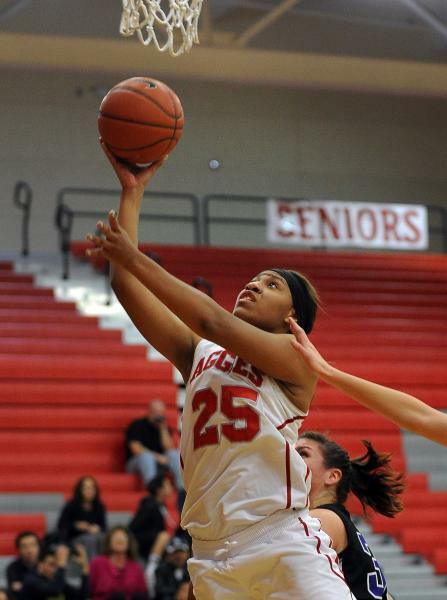 Dana Lewis added 16 points and 12 rebounds for Arbor View, and Ariona Gill scored 16. 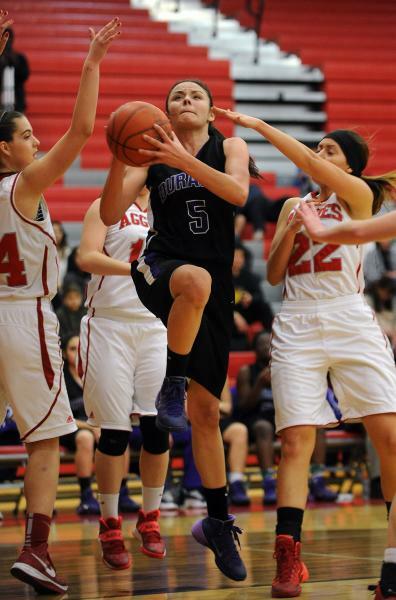 Chavez paced Durango with 10 points, nine rebounds and five blocked shots. The Trailblazers played without second-leading scorer Brittany Romo (13.5 ppg), who is sidelined with an ankle injury.